The Florida Police Chiefs Association is the third largest state police chiefs association in the United States. It is composed of more than 900 of the state’s top law enforcement executives. 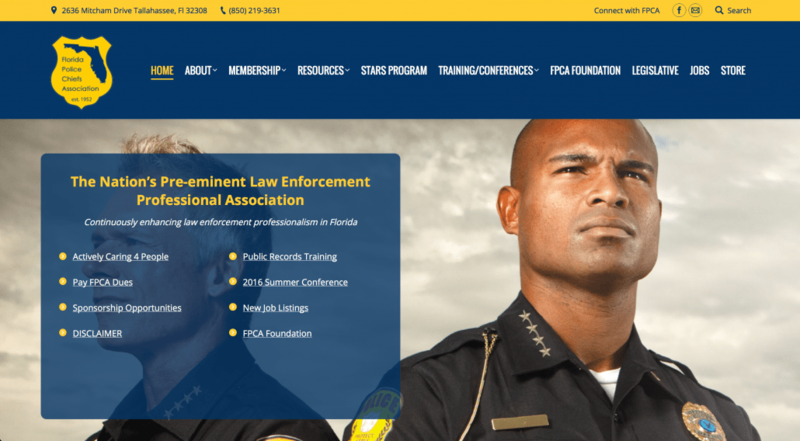 FPCA serves municipal police departments, airport police, college and university police, private business and security firms, as well as federal, state and county law enforcement agencies. 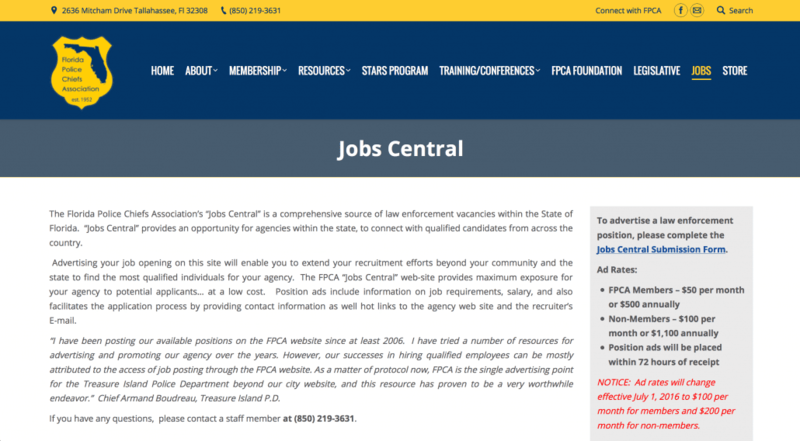 The FPCA has members representing every region of the state. 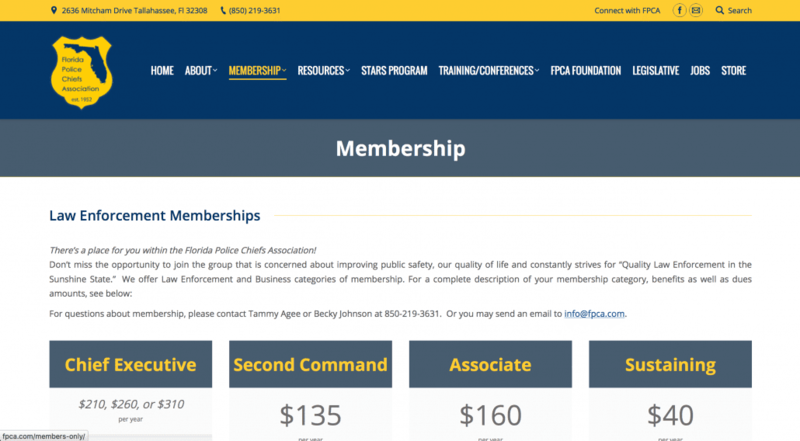 The Association was originally organized in 1952 to promote legislation that would enhance public security by providing superior police protection for the residents of Florida and its many visitors. Today, with the same ultimate goal, its role has expanded to provide better communication, education, and training for the various police and security agencies in the State of Florida. The Association maintains a strong presence in Tallahassee, regularly testifies on legislative issues, and our members are frequently recognized by the legislative leaders to provide insight into public safety issues and problems facing the criminal justice system. 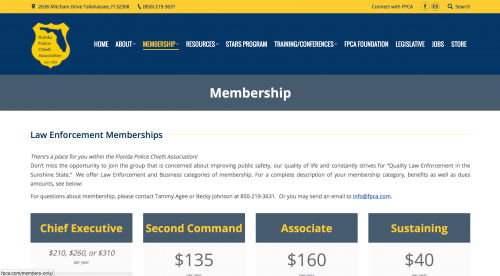 FPCA facilitates the dissemination of information, provides continuing police training, and promotes a better understanding of the police profession in general. This is one of many examples that show our website design capabilities. 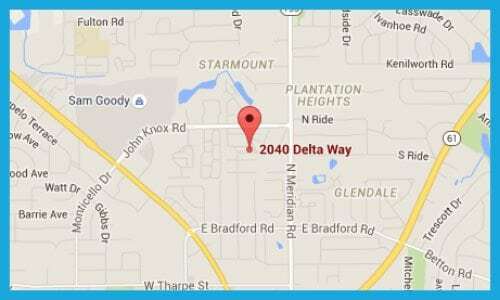 Learn more about how we can assist you in creating your ideal website!